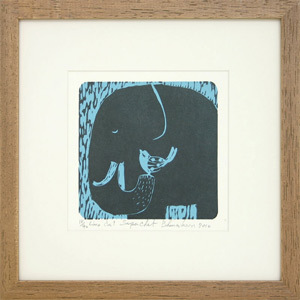 Supachet depicts a large elephant that carefully listens to a bird whispering to its ear. 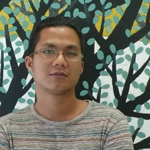 Artist Supachet creates the print with blue and black inks. Printed and signed by the artist in 2010. This is the 18th print in a limited edition of 40.